Here’s a fun, albeit potentially depressing, exercise to try (I certainly know how to make things sound appealing, don’t I?). Go through and see how many things you’ve purchased in the last few months that you’re actually using. No judgement here my friends, I am the queen of this behavior. And I wear my crown proudly. But that’s only because I’m on the other side of it now and have decided that it’s not my goal to financially support the JVZoo’s of the world. Here’s where the magic happened and how I got to the other side of this incessant love for new tools. I decided to stop doing the things I didn’t want to do anymore. I took at step back and looked at my business. What element of my business could I stop doing that would be worth the loss in revenue (for the interim)? I’m finishing up my last two projects and cannot tell you the elation and freedom I feel. Of course there is plenty under both of those brands, but it’s all manageable. In the case of LeadSurveys, ignorance is bliss. This is a whole new world for me (yes, I instantly heard the song from Aladdin… “A Whole New World”…), and I’m loving it. All in a way that supports how I want to spend my time. I swear I feel like I won the time lottery. But let’s get back to looking at the things we’ve purchased and haven’t used, shall we? Like many of you probably did, I jumped in on some special deals over Black Friday last November. There were a few plugins I had wanted to test so I grabbed them at a discount, then went about my day (*little side note* if you fall under this category of buying things and not using them, consider turning that into a blog series where you then go through each product in an individual post. A little food for thought). Now that I’ve simplified what I’m doing in my business, I’m going back to some of these recent purchases and evaluating (i.e., was it a smart purchase?). One of the plugins I purchased last November and have finally been putting to good use is the Beaver Addons plugin for Beaver Builder. HOLY MOLY I love this thing! I went back to it to solve something on one of these last two client sites and was beside myself with how easy it was to do exactly what I wanted to do. Mind you, it’s Beaver Builder. I knew it wouldn’t be hard. BeaverAddons (which when installed is ‘PowerPack’ in the dashboard) has some amazing custom modules for Beaver Builder. Tons of content modules (my favorite) as well as lead generation, form modules, creative modules, and extensions (design effects) . Oh… and they have a ton of page templates for Beaver Builder too. I used one of their templates & some of the modules on the LeadSurveys.io homepage. I’m coordinating an interview for the podcast with one of the founders, but until then, I can’t recommend this plugin enough. I absolutely love it. 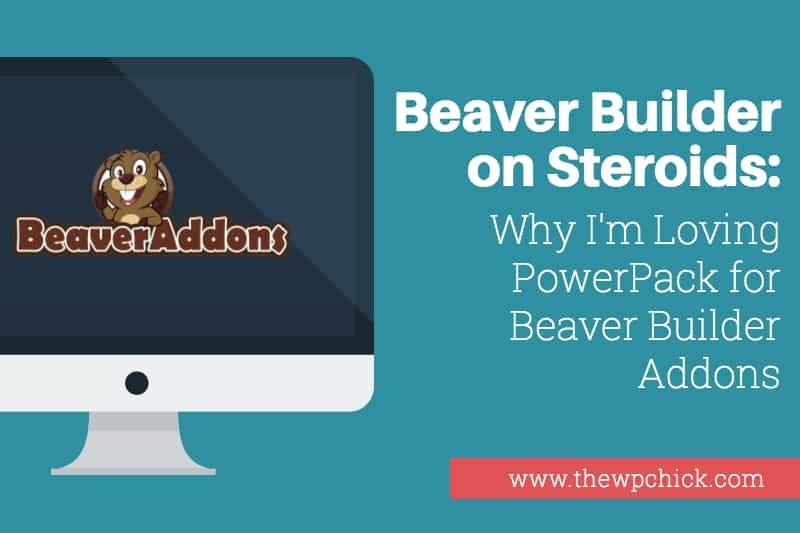 I bought both the powerpack beaver builder addons and the ultimate beaver pack. Both seem very similar and I don’t regret getting either of them. So much power. Thanks for your tip on the blog post reviews of plugins. This is a good idea. I have a lot of stuff I’ve fallen into buying. I think I’m stronger for it now. I have both plugins too! No regrets 🙂 It’s an exciting time to be a user (fan!) of Beaver Builder and all the awesomeness that is happening within the community. Glad the message resonated with you too (fallen into buying things.. haven’t we all?!). I’m new to beaver builder, is beaveraddons recognized by the owners of beaver builder? I’m planning to get the powerpack because it seems so useful. Yes, it is. The Beaver Builder team is super supportive of PowerPack (and most third party plugins). I’ve done a few interviews with the BB team and consider them friends 🙂 My last episode with Robby (one of the founders), he explains why they went down the path of simply acknowledging and supporting third party tools.